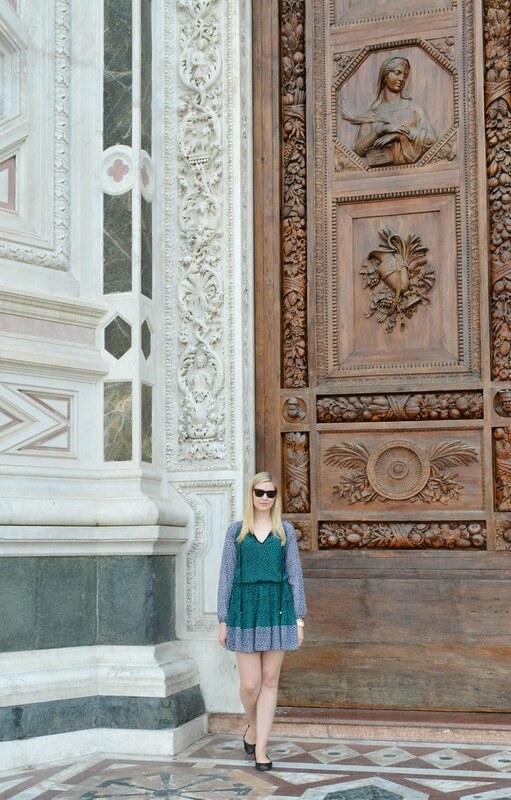 I wore this dress during my trip in Italy for a day of sightseeing and has to be one of my favorite pieces for Fall. With it’s light layers, the dress works well in warmer temps and once the weather cools down, it will look even better paired with tights and booties. The weather warmed up this weekend in NYC, so I will have to wait a little longer to pull out the tights and booties. P.S. 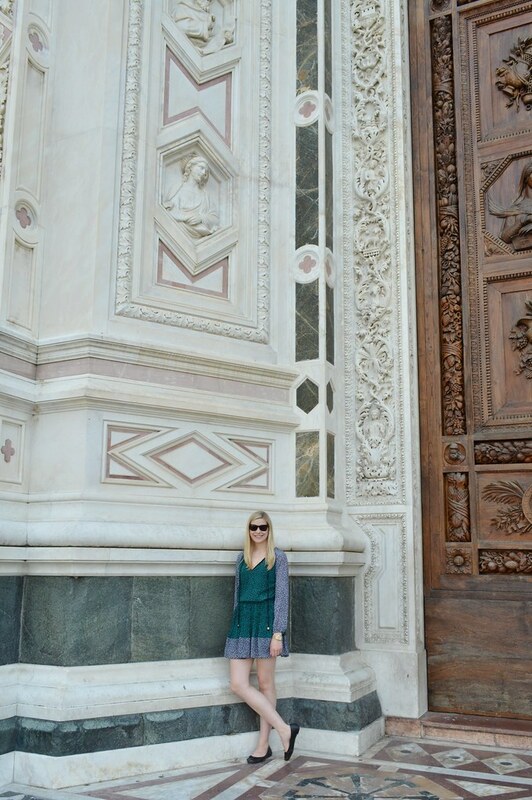 These photo were taken in front of the Basilica of Sante Croce in Florence. I can’t wait to share even more photos from my trip later on!